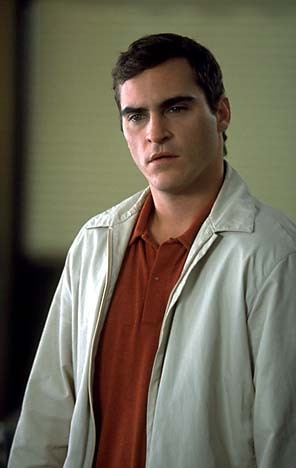 New York -- "I don't really know where I am," Joaquin Phoenix says, then pauses. "That's going to be a great quote." Phoenix, who's in New York promoting his new movie, M. Night Shyamalan's "Signs," is talking about his position in the film industry: Is he a mainstream actor? An indie actor? Both? His fear, of course, is that his statement is going to be taken to mean that he doesn't know where he is in his life (he seems content with it). Phoenix hates talking about himself. He doesn't feel comfortable talking about acting either, even though he works hard at it. This attitude made for an odd-couple pairing with Shyamalan. He tells a story about how Shyamalan knew exactly what the audience response would be when Phoenix's character picks up a baseball bat in the film. Phoenix didn't want to know. whereas Night seems more like a scientist who is certain of the outcome. I'm nervous about whether it's all going to work out." 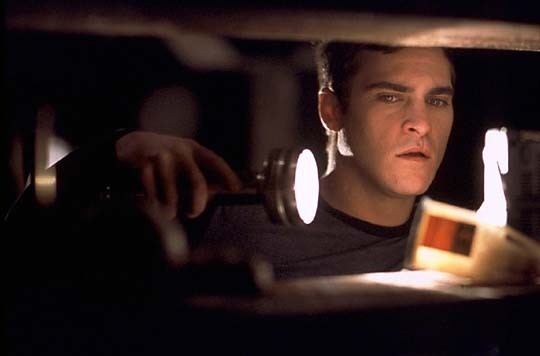 "Signs" follows the usual Shyamalan template, first established in his supernatural thriller "The Sixth Sense" in 1999 and continued with "Unbreakable" (2000). Like those earlier films, "Signs" is a tightly controlled tale with carefully planted, seemingly random details that come together at the end for a big, unexpected payoff. Phoenix plays the brother of a widowed former minister (Mel Gibson) who, along with his two young children (Rory Culkin and Abigail Breslin), is still grieving over his wife's recent death. They all live on a farm, which is defaced one night with designs of seemingly alien origin. As the aliens close in on them, the family closes in on itself. Phoenix's character, a former small-town baseball hero and washed-up minor- league ballplayer, is a fairly simple guy with a simple faith, which his brother has lost. It's not much of a stretch for Phoenix. He keys in on the character's vulnerabilities, which seems easy for him to do because his own insecurities are front and center. Phoenix is acutely sensitive to what people think of him, both as an actor and as a person. "I think that I'm probably unconventional," he says. "I don't really talk the way other people do. I don't really want to think about it that much. I wouldn't want it to affect how I think about myself. Someone described me as smoking a lot and fidgeting. It made me feel bad, as if I was doing something wrong." Phoenix, 27, came to his unconventionality from his upbringing. He was born in Puerto Rico, where his parents, John Bottom and Arlyn Dunetz, were missionaries for the Children of God. Disillusioned with church practices, they changed their family name to Phoenix (signifying resurrection) and moved to Florida. While there, Arlyn started stage mothering her five kids -- sons Joaquin and River and daughters Rain, Liberty and Summer -- first through a college acquaintanceship with actress-director Penny Marshall and later, after moving them all to Los Angeles, from her connections as a secretary at NBC's casting office. 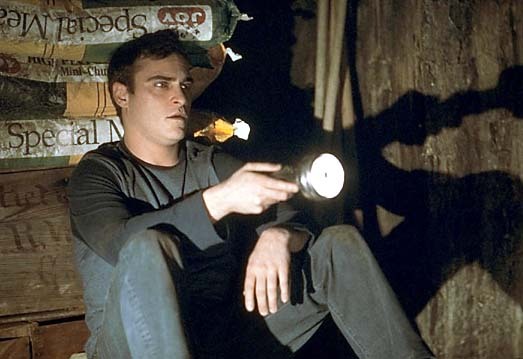 Joaquin landed his first acting job at age 8 on River's TV series "Seven Brides for Seven Brothers," having taken the name Leaf, in keeping with the family penchant for things natural. He appeared in guest shots on other TV shows and made an impression as a supporting player in "Parenthood" (1989) before taking a break from the business to join his father in Latin America. By this time, River was the family success story, with a thriving movie career that included top roles in "Stand by Me," "Running on Empty" and "Indiana Jones and the Last Crusade." Things changed drastically in 1993. Still a fairly faceless member of the Phoenix clan, Joaquin was thrust forward in an unwelcome way when he placed the well-publicized 911 call for help as River lay dying of a drug overdose outside the Viper Room nightclub in West Hollywood. Two years later, at the urging of friends, Phoenix returned to acting in "To Die For," memorably playing a lovesick, nitwit teenager who becomes involved in murder. He followed this with a slew of similarly quirky (but not as successful) indie films, including "Inventing the Abbotts" (1997), "Clay Pigeons" (1998), "Return to Paradise" (1998) and "8mm" (1999). It wasn't until 2000 that filmmakers finally figured out what to do with Phoenix. In "Gladiator," his wounded quality was twisted into a degenerate Roman emperor, earning him an Oscar nomination, and in "Quills," he convincingly portrayed a priest dedicated to reforming the Marquis de Sade but undermined by his own sexual impulses. He capped off the year with yet another completely different role, as a thug, in "The Yards." Phoenix was cast in "Signs" at the last minute, after Shyamalan's first choice, Mark Ruffalo ("You Can Count On Me"), had to bow out because of illness. Phoenix is fine talking about that. He is not fine talking about the Sept. 11 terrorist attacks, which occurred two days before principal photography began on "Signs" and had a profound effect on the production. It's a no-go area, even more so than his personal life and his acting. He will talk endlessly about talking about himself, and he offers the hope that two other films he's completed, "Buffalo Soldiers" and "It's All About Love," co- starring his favorite actress, Claire Danes, with whom he worked in "U Turn," will see the light of day. "I don't know that it's out of something negative comes something positive, " he says at one point, vaguely alluding to Sept. 11 and also probably to everything that's happened to him. "I guess we just go on. One has to."